I am really enjoying the time I spend with Angie. She creates a really safe space where I can be me, asks really powerful questions with the result that I’ve realized some big things about what drives me to bad habits. As a result of working with her, I’ve made some big changes to how I eat and am on my way to achieving my goals. Thank you, Angie, for opening my eyes to realize how that sugar devil yaps in my ear every day! I have tools to talk back! I now don’t feel worthless when I stumble and realize I am not alone. I feel freed from the judgment of myself to make the right choice for my health. Participating in the 7-day challenge was eye-opening. I have conversations in my mind every day; every meal and just about every hour about food! Yikes. How did food hijack my mind? LOL. Angie brings a great perspective and enlightenment to our relationship with food. The 7 days were well spent and I have tools now to use the rest of my life. Thanks, Angie! I was a bit hesitant at 1st in working with Angie. After our first session together my mind was eased. Working with Angie on several health and emotional issues has also brought greater clarity in my understanding of both myself and the workings of universal energies as a whole. I have learned several skills to seek out the root causes of physical symptoms including chronic fibromyalgia pain and acute kidney difficulties. Allopathic medicine has given me some relief of many of my symptoms but has little to offer in terms of a cure. Similarly, other energy healing has not yet taken me as far as the time Angie and I have spent together. I have better success in alleviating my discomfort by taking time out to use the skills and insights that Angie has given me. I have taken a new perspective in my life and how I see events happening around me. My closest friends have seen changes in me and I have told them about Wellness SOULutions. With my positive results and the changes my friends have seen, they are considering working with Angie as well. As of the writing of this testimonial, Angie and I have worked together for a few months with good success. I am planning to continue our work together. I would not say at this point that I have experienced a full cure for my health problems but I have made more progress in these months than at other times in my life. Angie has a wealth of knowledge when it comes to health and wellness. Her energetic body scan was absolutely amazing! There were a few issues that were happening when I came to Angie and one of them was I had recently sprained my ankle and was still experiencing pain from it. Immediately after our session, the pain had gone away and I was able to flex my foot and walk on it without a problem! There were several areas Angie discovered during the body scan that needed alignment and she was extremely helpful in educating me about these areas and pinpointing exactly what was causing the problems. After the clearing and balancing, I was extremely energized and very light in my body. Even during the session I can feel my body healing and releasing toxins. Over the next several days I continued to feel the effects of our session as I began achieving day by day more clarity, energy, and focus because of all the toxins that had been released. It’s such a true joy to work with Angie! 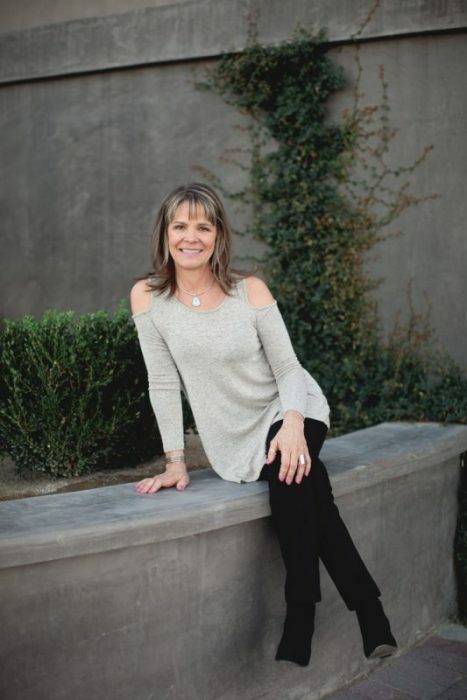 She has so much passion for energy healing and is constantly keeping up with the latest techniques so that she can offer you the best care. You definitely will be impressed by her expertise and I highly recommend that you receive continuous energetic balancing from Angie to keep your body, mind, and Spirit healthy, whole and happy! Within a few minutes, she had identified half a dozen issues and then we decided to do some more extensive screening and balancing. The major improvements I experienced were a better ability to rest/sleep; more consistent energy levels during the day (less early morning crashes); and a general ability to deal with stress better. Being a nurse, I was skeptical at first. Angie worked on my cat that was on its death-bed. After she worked on him, he did, in fact, get better. So I started to call her when I had ailments and noticed that I would start to feel better too. She would give me some instructions on what I should do and I would start to feel better or just forget that I had a pain somewhere. I highly recommend participating with Angie on Energetic Body scans and balancing. Angie has helped me with “energy clearing” on several occasions. It was one, in particular, that was really great to witness. One of my kids had been sick with what appeared to be the “flu”. She had a fever all night and the next day stayed in bed all day long, not eating, only drinking herbal teas. A 4-year-old child who is this immobile must be very sick. So I asked Angie to help out along with my herbal treatments. After Angie cleared her, she began to ask for food and eat, get up and move around and by the end of the night, about 2 hours later, she was running and playing. The next day was back to normal. My name is J and recently something happened that I felt a need to share with anyone that would listen. I’ve known Angie for several years now and been well aware of the Energetic Body Scan and Balancing that she has helped others with. Even though it seemed to help others I remained skeptical. That has all changed!! Let me back up a little. For the last 8 or 9 months, I’ve been experiencing a great deal of pain in my feet and ankles. Like most guys, I felt it was just something I was going to have to live with. Then the pain got so it was interrupting my life, it took longer to get around in the mornings. Work was more difficult. Even the drive home from work was painful. I made an appointment with my family physician and thought I would soon be on the road to recovery. All I got was discouraged. The doctor took some x-rays and diagnosed me with Peripheral Neuropathy (oversensitive nerve endings is what I got out of it) and let’s put you on Lyrica for the rest of your life. This was not going to work for me so it was time to try something different. My Wife suggested we Call Angie. In all the years I’ve known Angie I’ve always found her easy to talk with and very attentive and more so when trying to determine the best course of action to get me some relief. We called Angie on Saturday morning and she started to “work” on me, did I mention we live in Colorado? by that night I was moving around without even thinking about the pain, prior to that the pain level was at a 10. Sunday I woke up and it was at a 3. To me that was incredible! I still have days when I overdo it but Angie has helped so much and the pain level is decreasing all the time. I have had sessions with Angie for her Body Scan and Emotional Clearing services which are amazing, but this testimonial is for the 30-day clearing program. when I first signed up for it I was a little skeptical but because of the success of the other programs, I decided to try it and boy I am so glad I did. Some of the benefits I have noticed are, the healing of a reoccurring tooth and gum infection that I have had for many years cleared up, a chronic pain that I have had in my upper back disappeared, during a very tough cold and flu season I did not get sick once and I have so much more energy, I could go on and on but do your self a favor and try this out you wont be disappointed.